The drafted scrappage policy, which wants to promote e-vehicles, will be providing different types of discounts to owners for giving away existing vehicles under the policy. In fact, the government has set a budget of Rs 9200 crores to promote e-wheelers in the country. To promote e-vehicle sales in India, the government is planning to insert a provision in the proposed vehicle scrappage policy that seeks to do away with 20-year old commercial vehicles. 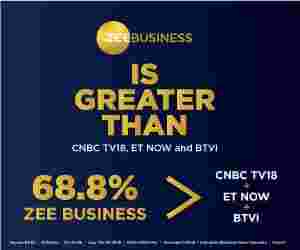 Sources close to the development informed Zee Business's Sameer Dixit that the government is planning to bring a special provision in the policy. Under the policy, a discount ranging between Rs 30,000 and Rs 5 lakh will be provided to a person who opts to buy an e-vehicle after giving away his/her old vehicles under the scrappage policy. A discount between Rs 20,000 to Rs 30,000 will be given on e-Bikes (two-wheelers), which will come in a price range between Rs 1 lakh to Rs 1.5 lakh. Similarly, in case of purchase of three-wheeler e-vehicle, a discount of Rs 75,000 will be given on the purchase of a vehicle costing about Rs 5 lakh, while a discount of Rs 35,000 will be provided if the given three-wheeler's cost if up to Rs 3 lakh. The drafted scrappage policy also says that an incentive of up to Rs 2 lakh will be provided on purchase of e-cars that costs Rs 15 lakh. If a person buys a light commercial vehicle (LCV) of Rs 10 lakh then he will be provided with a discount of up to Rs 2.5 lakh. In addition, a discount of up to Rs 50 lakh will be provided if a person buys a bus or truck worth Rs 2-3 crore. Besides, the government is also planning to spend Rs 5800 crore, through which the hybrid or e-wheelers can be promoted in the country. The draft policy also makes a provision of Rs 1.5 lakh to Rs 2.5 lakh incentives for taxicab or cab aggregators for purchase e-vehicle. The government is also encouraging automakers to accelerate the construction of e-wheelers or hybrid vehicles through this scheme. The government is trying to hit many targets through the scrappage policy like the removal of old vehicles from the road, control of traffic and pollution. At the same time, it is also trying to achieve its clean energy mission by promoting e-vehicles. However, the high prices of the e-vehicles is acting as a constraint for the buyer. In the same way, automakers are not displaying great interest in making e-vehicles due to the absence of any concrete policy regarding this segment.